The National Association of Theatre Owners lists Cinemark USA as one of the top three movie-theater franchises in the United States. Each Cinemark location pops its popcorn in canola oil in a commercial popcorn machine. The Center for Science in the Public Interest, or CSPI, sent popcorn samples from Cinemark and other top theaters to a lab for testing -- and the results appeared in the December 2009 issue of "Nutrition Action Health Letter." 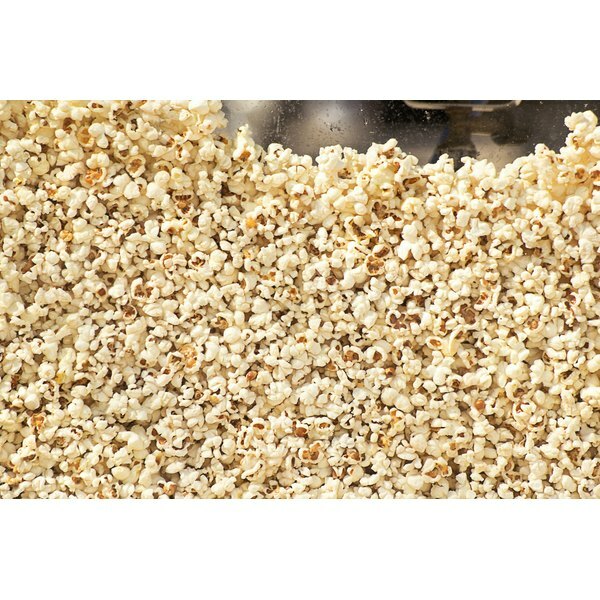 One serving of Cinemark Popcorn is reported to have 200 Calories, according to the nutrition facts provided by livestrong.com. According to the Center for Science in the Public Interest, or CSPI, a small order of popcorn from Cinemark has about 8 cups of popcorn, while a medium contains 14 cups. A large bucket of popcorn has approximately 17 cups of popcorn. Calories in a small order of Cinemark popcorn has just over 400 calories, according to CSPI. A medium-sized serving has 760 calories and a large has 910 calories. Adding butter to your popcorn adds 130 calories per tablespoon. Because Cinemark uses heart-healthy canola oil instead of coconut oil when preparing their popcorn, it contains much less saturated fat than most other theaters' popcorn. While some theaters have 20 to 60 grams of saturated fat per order, Cinemark popcorn has just 2 to 4 grams. Adding butter, however, adds 18 grams of saturated fat, because Cinemark uses real butter. According to the American Heart Association, you need to limit your saturated fat intake to less than 7 percent of your daily calorie intake. If you consume a 2,000 calorie diet, this means that you should eat no more than 15 grams per day. Saturated fat raises your cholesterol and your risk of heart disease. Cinemark popcorn was shown to contain less saturated fat than the popcorn from other theaters that were tested.